Admissions to Blar Buidhe Care Home on Lewis have been suspended. 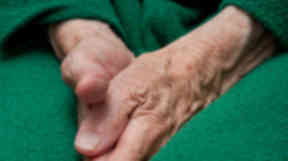 A care home is under investigation amid concerns about the diet of its residents. In December, a Care Inspectorate inquiry found Norma Smith, 80, lost a quarter of her body weight during her time at Blar Buidhe Care Home on Lewis. Inspectors found the pensioner did not receive enough food or water and said there was evidence she was at a high risk of malnutrition. Ms Smith later died at Western Isles Hospital. Blar Buidhe owners HC One have voluntarily suspended new admissions while Western Isles Council carries out the review. Chief social work officer Iain Macaulay said: “Following concerns brought to my attention at the end of last year, and in light of these new issues being brought to the council’s attention, a multi-agency meeting agreed that a review should be carried out to ascertain if there are underlying ongoing issues at Blar Buidhe. The home, which specialises in dementia care, will remain open while the inquiry is carried out. A spokesman for the Care Inspectorate added: "This a serious and concerning matter. We have been kept closely informed by colleagues at the local authority and we continue to monitor this situation. A spokesman for HC One said: "Two weeks ago we contacted the dietician to let them know that a number of residents had lost weight. Some of the residents we included in our update were on planned weight loss programmes and had been on a plan of care to reduce their weight. “Where residents had lost weight outside of these planned programmes, plans were in place to support them and some residents had already gained weight. “It is very important to us that we work closely with the council and the Care Inspectorate at all times, and in this case, we are doing this following us proactively contacting the dietician. "The health and wellbeing of the people we support is our number one priority, and the home is being supported by our regional management team to ensure every resident continues to receive the high quality care they deserve. “We work very hard to provide the kindest possible care. This was reflected in our most recent Care Inspectorate report in December which found the home was rated adequate or good in all areas."